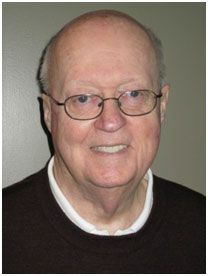 The Rotary Club of Woonsocket announces Charles Seavor as the recipient of the 2010 Vocational Service Award recipient. The award will be presented at the weekly evening meeting of the club on Thursday, April 15, 2010 at Bocce Club Restaurant in Woonsocket. The coveted award represents one of the four cornerstones of The Rotary Club. Rotarians are charged to uphold high ethical standards in all their vocational and professional practices, to recognize the worthiness of all useful occupations, and to consider their own occupations as an opportunity to service society. The Rotary Club of Woonsocket advances this ideal through its Vocational Service Award, created to recognize and honor a Rotarian or community member or business, which has through their work practiced in keeping with the highest ethical standards and strived to help others. Seavor, a local architect, has been an active Woonsocket Rotarian since 1968, where he served as president in 1975-1976. He has been recipient of the prestigious Rotary District Percy Hodgsen Award in 1976. In announcing the winner, President Donald Beauregard noted that Rotarian Seavor more than exceeds the ideals that the vocational service award represents. The Rotary Club of Woonsocket is fortunate to have Charlie as mentor and example of the Rotary Mission as stated in this award. Other previous recipients include Joseph Solano, Doris Chapdeleine, Librarian at the Woonsocket Library in 1976, The Woonsocket Rescue Service in 1990, Owen Bebeau in 2006, Kevin Plouffe in 2007, "Bill" Belisle in 2008 and Harout Diarbian in 2009.